Interdisciplinary collaboration is the organizing principle at play for life sciences research, education, and technology development. Within the Life Sciences & Bioengineering Center (LSBC), interdisciplinary research teams go beyond traditional academic department boundaries and coalesce around ideas, approaching complex problems from multiple perspectives to speed the pace of discovery. Researchers engage in teams around a common goal: advancing science and engineering new therapies, devices, and technologies that improve human health and benefit us all. The LSBC houses representatives from chemistry and biochemistry, biology and biotechnology, biomedical engineering, chemical engineering, and physics. While the the LSBC houses a wide variety of research expertise and focus areas, WPI includes Health and Biotechnology as one of its university strategic areas. This includes a meaningful partnership with UMASS Medical School, and in addition, The Healthcare Delivery Institute at WPI. 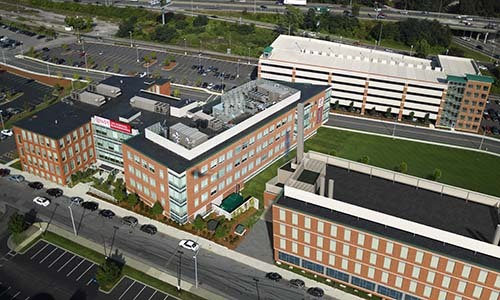 Corporate tenants, co-located at WPI’s Life Science & Bioengineering Center, through our partner, Massachusetts Biomedical Initiatives benefit from their close proximity to WPI faculty, staff, students and core research facilities. Partnerships are frequently forged that provide real-world challenges for the WPI researchers and valuable solutions for companies. Join us in our pursuit of excellence at Gateway Park. These facilities are available on a contract basis to outside companies and research laboratories. The LSBC has been recognized for excellence by the City of Worcester and houses many important resources for the broader WPI community. 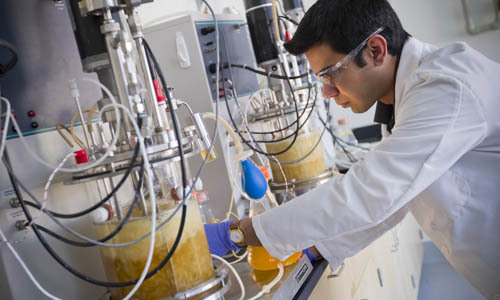 Biomanufacturing Education & Training Center about Interested in Biomanufacturing?